Note that Neistat—a filmmaker and vlogger with 1.94 million followers on Twitter, 3.2 million followers on Instagram and 10+ million followers on YouTube—was never really feuding with the fast food chain. But the feud/not-a-feud got a lot of coverage, from including articles on sites that overplayed his ire and and didn’t really get the joke. So, what happened? Neistat was intrigued when he noticed that BK had suddenly liked several of his tweets from 10 years ago, and wondered what was up in a tweet on Jan. 23 that got 14,000+ likes. He then found out this happened to several other popular influencers, and that it was all part of a campaign to reintroduce Funnel Cake Fries. 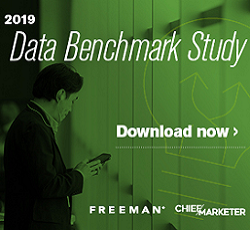 Whoever came up with the campaign should get a raise, he said, pointing out that the company got a lot of mileage out of the targeted social influencers without their consent. He wasn’t looking to become a paid burger spokesman. Rather, he called them out, suggesting that they make a donation to two charities he supports. 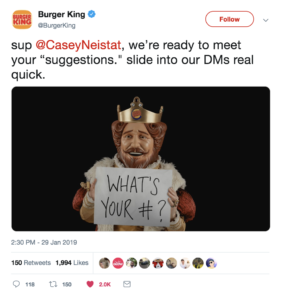 To his surprise, Burger King quickly followed him on Twitter, and tweeted to him that they wanted to get in touch and make things right. In a follow-up over the weekend, he revealed that the global CMO of Burger King reached out to him directly and the company wanted to donate $25,000 each to the Boys and Girls Clubs of America and Make-A-Wish. Neistat asked if they could do something for his loyal fans, and BK offered up 5,000 free meals, which went quickly to the first fans quick enough to claim them. Was the effort successful? I’d say yes. Burger King and Neistat both got some press, two worthwhile charities got some cash, 5,000 fans got lunch and my teenage son (who tipped me off to this story) and I are now craving funnel fries. Mission accomplished.